Base layers are worn next to the skin to form the basis of a hillwalker’s clothing system, and by moving sweat away from the skin they keep you warm and dry without any of the clamminess associated with cotton T-shirts. 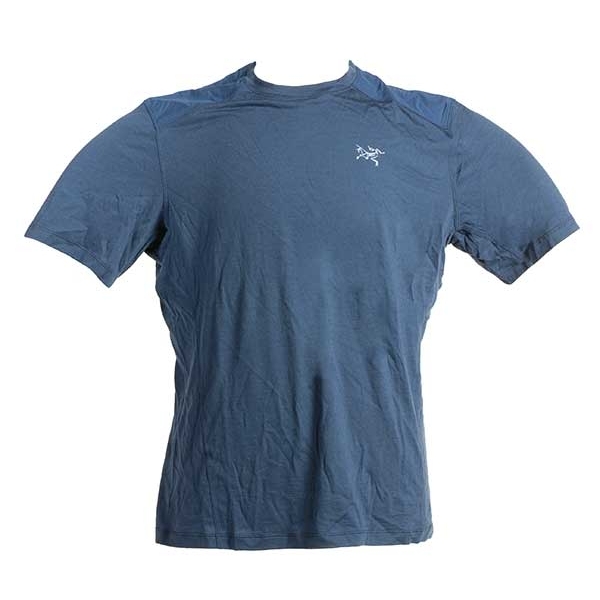 At this price you get the basic requirements of a base layer while hillwalking, which is to wick sweat away from the skin to keep you dry without that horrible clammy sensation. In general the base layers will not feature any anti-microbial treatments, or the treatments will not be the most effective available, so these garments tend to be a little more smelly if not washed between walks. The seams may not be as smooth as higher-priced options, and you may not get additional panels of materials to improve fit and comfort. There is certainly no need to spend more on a base layer than those available in this price band, but if you do then there are additional benefits that you may welcome. In this price band the wicking properties of the materials used are generally slightly better, due to improved weaving of the materials. Equally the anti-microbial treatments tend to be more effective at managing odour. You may also get a higher UPF rating to provide protection against ultraviolet light when hillwalking, although not all brands provide this data. A rating of UPF 15-20 is good as it permits only 1/15th to 1/20th of UV to transmit through the fabric, but UPF 25-35 is better, while UPF 40-50 is excellent. Flatlocked seams to reduce chafing and additional panels of material under the arms may be provided to improve both fit and comfort. In some cases a short neck zip may be provided within this price band to allow extra ventilation in warmer weather. Improvements in odour control are available in this price band due to the use of merino wool, which carries a high price tag but is naturally anti-bacterial and ideal for multiple days of use between washes without becoming smelly. Exceptionally smooth seams are common, and there may be combinations of materials to provide a greater overall blend of performance benefits above and beyond that which merino wool can provide alone. Products in this price band are ideal for multi-day trips when odour control is a priority, but for day walks they are not essential requirements as you can always wash your kit between trips. IT'S GOOD Like many Alpkit products this base layer offers far more for its price compared to other options. The 100% polyester base material wicks away sweat speedily, while Polygiene, a feature normally only available in higher-priced options, provides odour control. The seams are flatlocked so they don’t chafe, and a more open mesh knit on the back and under the arms further improves wicking and drying. There is also an additional panel under the arms for a better fit. The relaxed fit would suit general walking well, as it allows a little airflow to help cooling. Very hard to beat. HOWEVER On multi-day backpacking trips a merino wool or bamboo base material does offer even more odour control, but this only affects those that cannot wash their base layer regularly. Some other higher-priced polyester base layers use a knit that dries slightly faster, but the difference is very small, and some are slightly longer in the body, which may benefit taller people. More athletic users may prefer a closer-fitting style for running, and moving sweat away more rapidly with polypropylene. A zipped collar would be nice too, but few short sleeve base layers offer that anyway. There is really very little wrong here for general hillwalkers. VERDICT For the price, both the wicking performance and odour control are exceptional, but merino wool has even better odour control and some dry slightly quicker. IT'S GOOD Bamboo is naturally anti-microbial, so does not get smelly like other base layers, and this sets it apart from other low-priced options. Bamboo is also a more environmental- and animal welfare-friendly option than other base layers. It dries faster than merino wool too, but not as fast as layers that feature polyester, polyamide or polypropylene, so it is a good material for general walking, so long as you aren’t getting too sweaty. The material also appears a little more durable than merino wool. Flatlocked seams are featured, which is important for this base layer as the fit is quite close and figure-hugging. Also the body is slightly longer than average. HOWEVER Only being available in black means this base layer will absorb plenty of heat in sunny conditions, so it’s not ideal for wearing in warmer weather. In really hot weather the close fit does not allow much airflow either, which again can make this base layer feel overly warm. It does wick and dry faster than merino wool but synthetic fabrics are better if you are really sweaty. So this is great for mild conditions but others would be better in really hot weather due to colour benefits, looseness of fit and drying performance. VERDICT Excellent low-priced option for general hillwalking in mild weather, with outstanding odour control, but others are better in hot weather or during sweatier conditions. IT'S GOOD Made from polyester to move moisture rapidly, and with zinc anti-bacterial treatment to keep odours at bay, this base layer offers a lot for a very low price. In test it wasn’t as smelly as other low-priced synthetic layers without odour treatment, and the polyester dried very slightly quicker than the lower-price options too. The seams are all flatlocked, and around the inside back of the collar a smooth overlay of material adds more comfort. 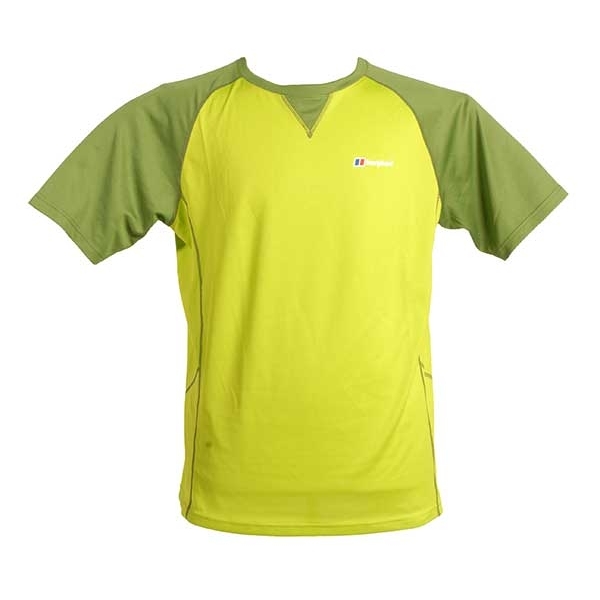 The loose fit is great for airflow and comfort when hillwalking in warm weather. HOWEVER The silver anti-bacterial treatment is slightly more effective than the zinc anti-bacterial treatment used here, so it isn’t the absolute best for controlling odour compared to those using Polygiene silver for example, or those made from merino wool or bamboo which are far better at controlling odour than any synthetic fabric. The fabric is slightly less stretchy and less soft than some higher-priced designs too, although it is not itchy like merino wool. It is rated as UPF 30+ but you can get higher UV protection if you pay more. Some may prefer a closer, figure-hugging style for fast action and to maximise moisture movement. VERDICT A good all-rounder that will suit the needs of most hillwalkers, but improved odour control and a closer fit if desired is available elsewhere. IT'S GOOD The relatively low price is instantly appealing, and it is hard to justify paying more when you look at the details of this base layer. The material is soft 100% polyester with Polygiene treatment to manage odour, which would generally be expected with higher price tags. The knit of the fabric wicks sweat and dries as well as the higher-priced options. The seams are flatlocked, so they don’t chafe in hot weather, and you also get an extra panel under the arms so the sleeves fit more neatly. The Medium was snug, but I normally take a Large so I suspect the correct fit will be slightly relaxed rather than too figure-hugging. HOWEVER There is very little to complain about with this base layer at this price point, as its performance is virtually as good as higher-priced options. However, if you pay more you can get a higher UPF rating of 50+ rather than the 40+ offered here. 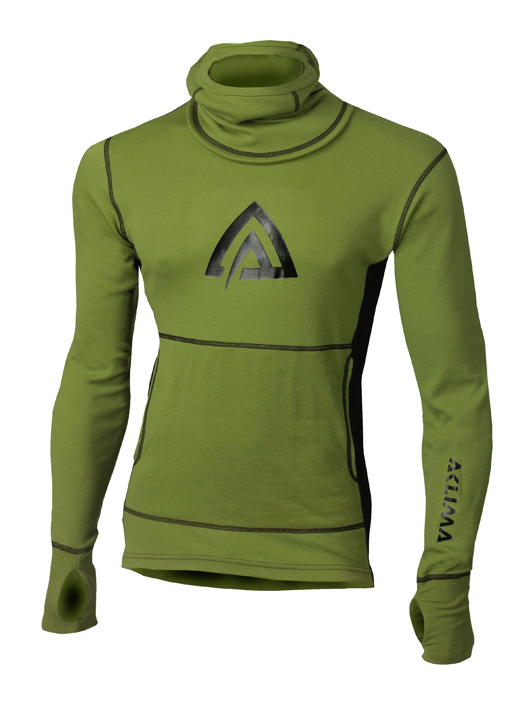 Also some base layers are available with short neck zips. Like other synthetic base layer, it can’t manage odour as well as merino wool, although this is only important if you can’t wash your base layer for weeks at a time. For my money this is a winner that is hard to beat for hillwalking. VERDICT Very well-priced compared to others with similar features, making this a brilliant choice for hillwalkers who don’t need the benefits of merino wool or a zip. IT'S GOOD The unique construction of the Hydropore fabric creates small pores and a smoother surface to enhance wicking, so the fabric transports sweat more quickly across its layers than other fabrics and also dries more rapidly. The fabric is also very stretchy and soft against the skin, while an S.Fresh treatment keeps it smelling nice. UV protection is also an enhanced offering, at UPF 50+ (most base layers are 30+). The fit is more relaxed than others too, so this allows a little more airflow around the body, and is more forgiving for those who are more body-shape conscious. HOWEVER Other base layers at this price have flatlocked seams for more comfort, and some have an additional panel under the sleeves to provide a neater fit, so this base layer does come across as slightly overpriced in terms of features. The fabric appears to perform slightly better than others at this price, but the difference is small so it all comes down to whether you want the better fabric you get here, or the better seams and an extra under arm panel you get elsewhere for the same price. Also you still get even better odour control with merino wool layers. VERDICT Improving moisture transport and anti-bacterial performance, but you don’t get the super-smooth seams available elsewhere. IT'S GOOD This base layer is new for 2018 and features Argentium Pro. This has an additional cooling element that causes the fabric to change its performance as you warm up, by becoming extra cooling and extra breathable. You still get the basic polyester wicking performance and the benefit of silver to manage the odour. Extra mesh panels under the arms increase cooling even further. On the body this gives a good general fit and the seams are flatlocked to be smoother against the skin. There are also additional panels under the arms to allow for a closer fit. The £50 women’s option gets a short zip for added ventilation in warm weather. HOWEVER Argentium Pro doesn’t actually perform much differently to standard Argentium. Also while you get the benefit of silver to control odour, you still get even better odour control with merino wool, although this is only important if you can’t wash your base layer for weeks at a time. In hot weather a short zip at the collar is ideal, but only women get this option. The UPF rating is only 30+, which is low compared to others. Some base layers have an even longer body and a looser fit which you may prefer. VERDICT Excellent general-purpose synthetic base layer with the benefit of Argentium Pro which reacts to your body temperature. IT'S GOOD A high percentage of merino wool in this base layer makes it softer and more comfortable, and boosts its anti-microbial performance so it doesn’t get smelly easily. The relaxed fit allows a little more airflow around the body than closer-fitting designs, making it good for warmer weather when air cooling is important. The body is also a little longer than some, so the back is well protected when bending over and doesn’t ride up easily under a rucksack hip belt. Some nylon in the construction adds a little more durability. 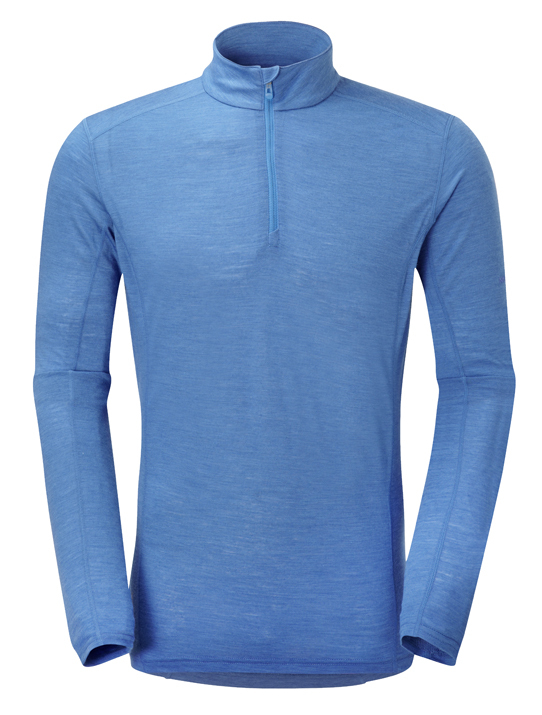 A good price compared to other merino base layers. users may prefer a closer fit. The higher-priced options offer smoother seams than these, as well as extra durability from the use of more nylon and less merino wool. These drawbacks are small, however, and for general hillwalking in mild conditions this is a good option at this price. 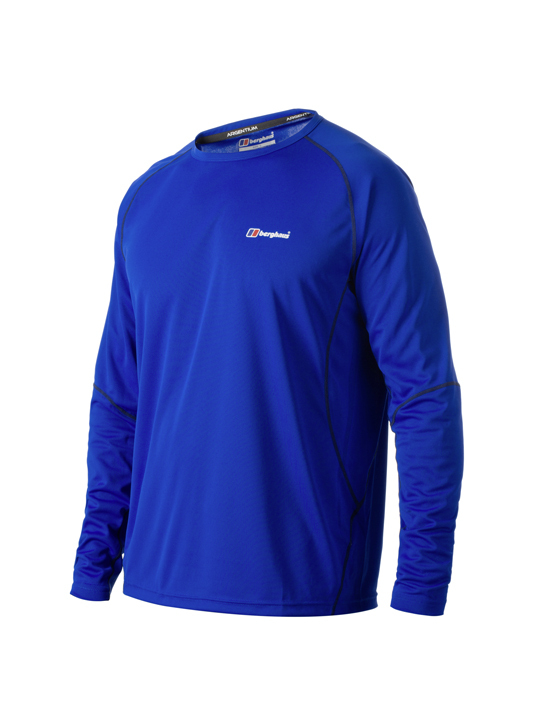 VERDICT Well-priced merino wool base layer that does have some drawbacks, but for many hillwalkers it is a great option with the benefit of great odour control. 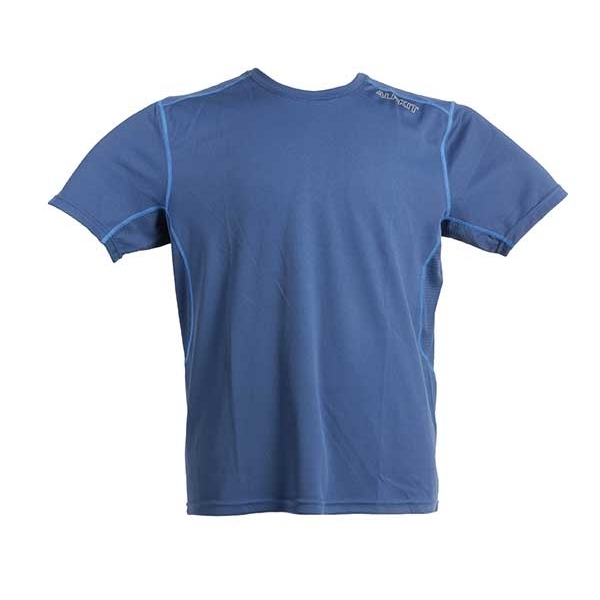 IT'S GOOD The bulk of this base layer is made from a blend of merino wool and nylon branded as Nucliex. The high wool content combined with a thinner material makes this feel very soft. The fit is not overly close either, making it feel nice and airy and ideal for warmer climates. The high wool content is naturally anti-microbial, so this base layer doesn’t get smelly as easily as lower-priced options. The inclusion of some nylon improves moisture movement and increases durability. For maximum durability at the shoulders there is a panel of Alatorre, which at 95% nylon will also provide better abrasion resistance under rucksacks. HOWEVER There is no women’s option, and for this price you don’t even get a neck zip for venting. The high merino wool content means this can wet out a little more easily, as well as be slower to dry than those with more synthetic materials. Also while there is that reinforcement on the shoulders, this is a more delicate material than some others, so some care is needed to prevent it from snagging. While the seams are smooth, some options have fewer seams for an even higher comfort level. Like all high wool content base layers, this is slightly itchy. VERDICT A good base layer for hillwalkers in warm weather. It does saturate and stay damp if conditions are too warm, but offers good odour control. IT'S GOOD Falke claims to use wool that is certified free from the practice of mulesing, and it is sourced and manufactured within Europe to guarantee ethical standards. 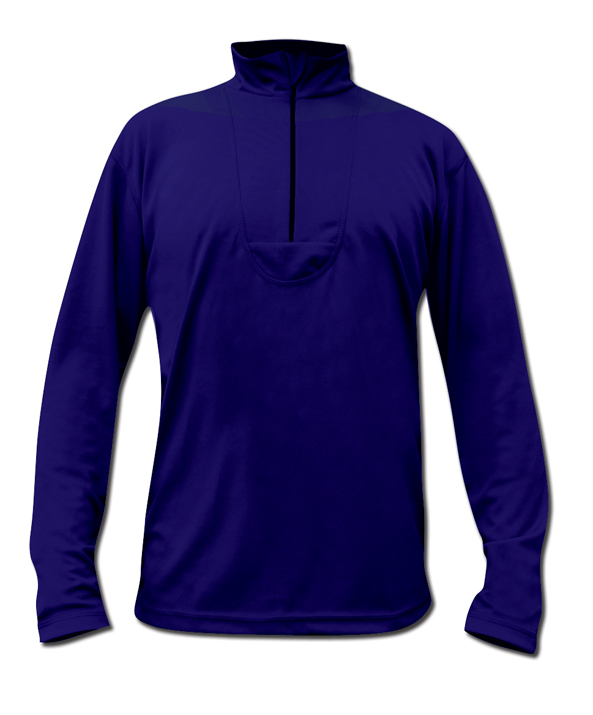 As well as the merino wool which has the benefit of moisture movement, comfort and anti-microbial benefits, this base layer uses a high percentage of polyamide (nylon) which improves durability but also moisture movement to prevent the wool from becoming saturated with sweat, which can happen in higher-content wool products or during increased activity. The fit is very close and figure hugging, with exceptionally smooth seams throughout so it feels great against the skin. It is ideal for sweatier activities and does not get too smelly. HOWEVER The price tag is very high, so it’s disappointing not to get a short neck zip. Also, while some will welcome the figure-hugging fit, others may prefer a looser style, particularly when walking in warmer climates. As there is some nylon in the mix, base layers with just merino wool or bamboo are softer and more comfortable against the skin, although their moisture management is not so good and high wool content can prove itchy. VERDICT Outstanding blend of material and seam construction for comfort and moisture movement, but the price may be excessive for general hillwalking. At the top end of the price range, we find this: supremely comfortable merino wool, fitted but not clingy, a completely natural thermostat and easy to wash too. And as a bonus, it's muted enough to hide all its technical brilliance in a top that looks profoundly ‘normal’. I wore it on four separate trips without washing it, and it stayed odour-free and moisture-free throughout. It also has a long back to keep draughts at bay. It’s the heaviest top here, and it’s perhaps a bit too thick for anything other than very cold days – for more year-round usage you might like to try its thinner brother the NTS Light (NTS, by the way, stands for Next To Skin). But if you’re planning on heading anywhere chilly over winter – be it the top of a coastal cliff path or a snowy Highland summit – this is the one to choose. It’s the sheer comfort and absolute reliability that justifies the price tag here. A comfy top which ticks most of the boxes for a great price. ‘Stripped-back’ is the word: it’s extremely lightweight, almost tissue-thin, with uncomplicated stitched seams; a lean top for those who like to move light and fast. It isn’t close-fitted at all, in fact it’s rather baggy and shapeless round the waist and at the wrists. This means it’s comfortable to wear both in summer as an outer layer and in winter as a first stage, but you’d need a lot of insulation above it. It prioritises venting heat over retaining it, so if you travel more slowly, you may feel the breeze a bit, but it still wicks moisture away efficiently. The collar comes right up to the jawline, while the zip (which runs a long way down the torso) is simple and unfussy, but there’s no chin-guard, in keeping with its lightweight, no frills ethos. Here comes the merino champion: luxurious, comfortable and expensive. Unlike the coarse, itchy wool which comes from your bog-standard sheep, merino sheep produce exceptionally fine and soft wool which feels like silk next to the skin. 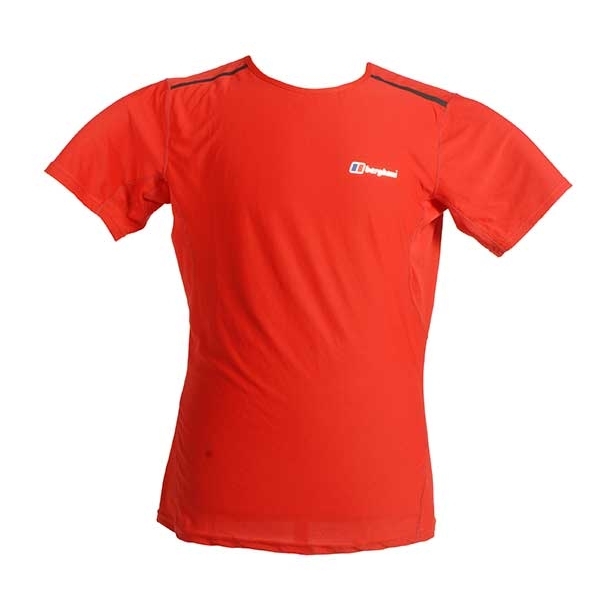 And with this top, Icebreaker have engineered it into a top-of-the-range, deluxe base-layer. Made from 100% merino, the Oasis is tailored to be snug without being constricting, and its drop-tail hem ensures it doesn’t ride up if you’re hunched over. The close fit means it keeps you cosy, even on the frostiest of mornings. Possibly its best, and most sociable feature, is its remarkable ability to stay odour-free. I’ve worn this top for three consecutive days of tough fellwalking in the Lakes, and it was still fresh enough to wear in the pub afterwards. But when it does need a freshen up, it’s dead easy to wash too. As its name suggests, this is a top which means business. The Bionic is sleek and technical, with a slightly looser fit than the other base-layers to ensure ease of movement for strenuous days out in the hills. It’s incredibly lightweight and floats against the skin like gossamer – perfect for sweaty climbs on otherwise chilly days. But it’s the blend of synthetic and natural materials which really sets it apart from the rest. Made up of 61% polyester and 39% merino wool, it keeps the luxurious feel and odour-resistant qualities of merino but has the advantage of being quick-drying and highly efficient at wicking away moisture. 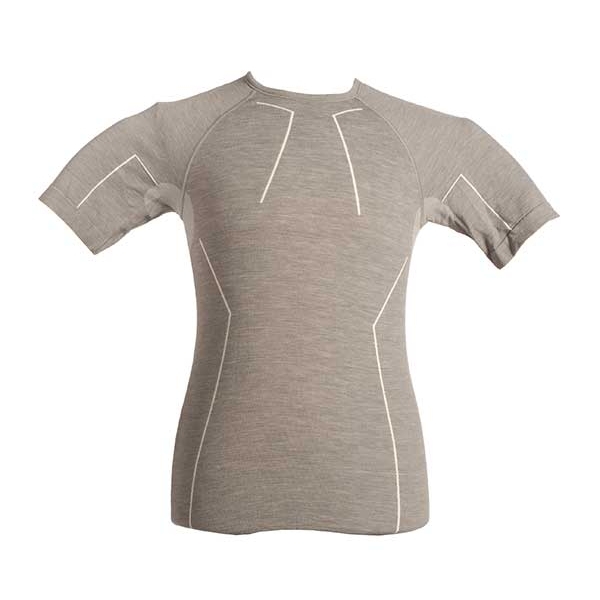 But if things do get too hot, the zip-neck allows that quick blast of cool air to make the climb more comfy. It doesn’t have a chin-guard, but the zip is separated from the skin by a soft inner seam which ensures you’re swaddled in softness from top to bottom. Though the heaviest base-layer in the women’s group, the Dikila is surprisingly versatile. Using their own blend of synthetic fabrics called Dry-Zone, Sherpa have created a top which can double up in both a summer and winter wardrobe. It kept me warm on low-level strolls during the cold snaps of November, but it’s also breathable enough to cope with warmer conditions while maintaining a comfortable temperature. Its tailoring means that it is close-fitting enough to wick away sweat and moisture, but it still leaves enough breathing space to be comfortable and flattering. The zipped pocket on the sleeve is a rare but handy feature, meaning that small essentials (such as keys, coins, plasters, Tic-Tacs… ) can be kept to hand when wearing it on its own on those milder days. Here we get a bit more athletic. This is a high-performance technical top and the tightest fit in the men’s group, although it adapted nicely to my body shape after three outings and careful washes. It’s a complex blend: a merino and polyester face fabric plus a polyester-only inner lining, which together offer great temperature regulation on hard climbs. There’s also an antimicrobial treatment in the mix to cancel out the smells associated with polyester. The back is longer than the front, which keeps draughts from running up your back while allowing complete freedom of leg movement. It feels dense and sturdy without ever feeling too heavy and, while it definitely looks athletic, it still feels like a top that is built for walking rather than trail-running. The high collar is great and there’s a chin-guard for the zip. Despite coming in at the lowest price-point of all the base-layers here, the Hybrid boasts some pretty impressive technology. The fabric is mapped out according to the body’s hot and cold spots so that the underarms, for instance, are ventilated while the sides are insulated. Under test, it did a fantastic job of regulating my body temperature at a comfortable level, keeping me snug on a crisp, early winter morning. One of the best things about the Hybrid is that I hardly noticed I was wearing it. It’s the tightest-fitting top here, and although at first glance it looks a bit RoboCop, the body-hugging stretch fabric is like a second skin – a softer, more supple one. The crew-neck design means it doesn’t have the versatility of the zip-neck models, but it also removes any potential zip-on-skin irritation. If a zip-neck is a deal-breaker, you can get it for an extra £15, but the crew is already so comfortable that it’s hardly worth the extra dosh. If you want a warm, clever and versatile top that doesn’t look too flashy, look no further than the Grid. It’s a relaxed fit, but it’s made with a thick, insulating fabric (almost like fleece) which is so comfy I was still wearing it as an outer layer in late autumn. The distinctive grid pattern of this Parameta G fabric helps seal in warmth but keeps the package breathable, while the cuffs and collar feel thicker and more insulating than the rest of the fabric, even if they are actually the same density. I subjected it to a downpour with just a soft shell over the top and it absorbed not a drop. The collar is tight when fully zipped up, but the top is so effective that most of the time it can run with the zip down a little anyway. The longer back keeps draughts out nicely. Too hot for midsummer comfort, but for every other time of year, superb.